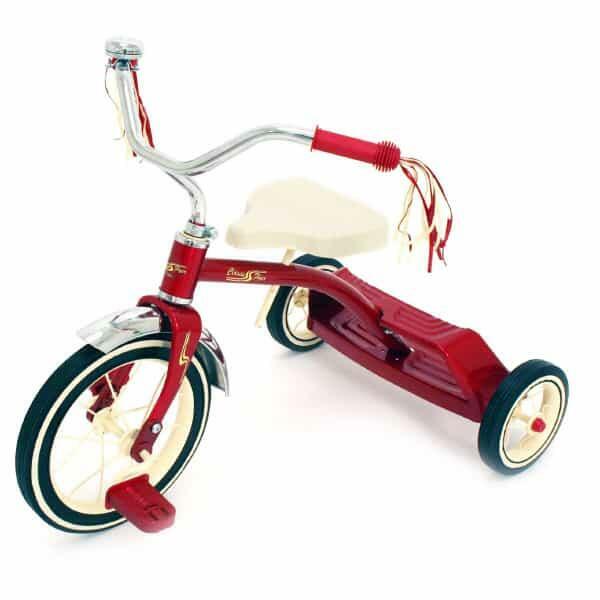 Classic Flyer Retro Trike 12"
Home/Toys/Classic Flyer Retro Trike 12"
Kettler is known worldwide for their exceptional Toys, and the Classic Flyer 12" Retro Trike is no exception. The retro design copies the classic red Flyer bicycles and wagons that were popular when you were growing up, with modern materials and production techniques for durability and a longer life. And your youngster will love the small touches, such as the streamers and cool handlebar bell that announces their arrival! Seat Height 15.75" - 17.25"
Seat to Pedal 19" - 21"
Seat to Floor 15.75" - 17.25"